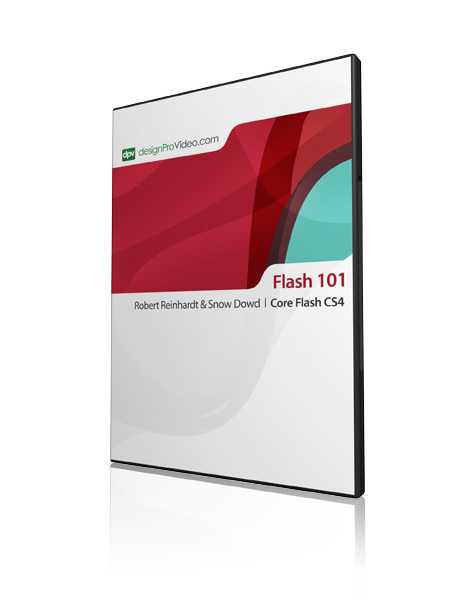 Robert & Snow have written over a dozen books about Adobe Flash. At designProVideo.com, we searched the world high and low to find the best Flash trainers out there, and I'm pleased to report we found them - Robert Reinhardt and Snow Dowd! After discovering Flash while working on an art project, Robert soon realized that there was a need for more comprehensive documentation of its capabilities. In 1998, not many people had even heard of Flash and publishers were wary of the limited market, but IDG Books Worldwide, Inc. (now Wiley Publishing, Inc.) committed to doing the Flash 4 Bible. The rest, as they say, is history. 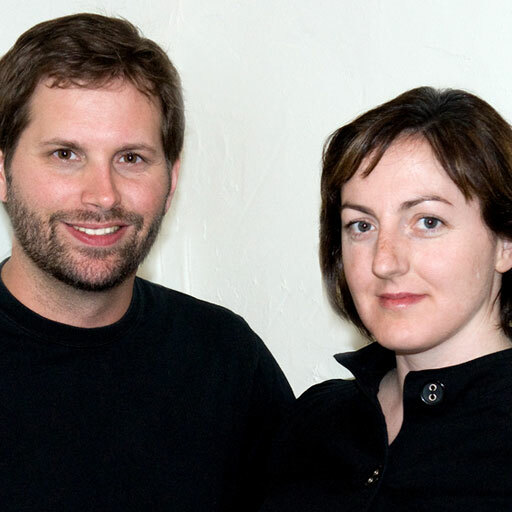 After studying and working together in Toronto for five years, Robert Reinhardt and Snow Dowd established a multimedia consulting and design company in Los Angeles in 1999, called [the MAKERS]. Five years in the Hollywood Hills saw them through the dotcom boom and bust and gave them the chance to work on a wide range of projects — without ever having to wear wool socks. Now based in Portland, Oregon, [the MAKERS] LLC continues to do work for entertainment companies, educational institutions, entrepreneurs, independent artists, and nonprofit organizations — and enjoy wearing stylish rain boots. Robert Reinhardt — With a degree in photographic arts, Robert takes a holistic approach to the creation of compelling multimedia. In addition to development and content creation through [the MAKERS], Robert works with Schematic as Vice President of the Multimedia Platforms Group. Robert has led various assignments including multimedia data analysis applications for Nielsen’s Media and Entertainment division and creating interactive applications for The Weather Channel’s WeatherClassroom.com, DC Comics, and Microsoft Windows XP Media Center Edition spotlights for major cable networks. When he isn’t building or consulting on Flash projects, Robert loves to teach and write about Flash. In addition to the Flash CS4 Bible (Wiley, 2007), he is the coauthor of Flash MX 2004 ActionScript Bible (Wiley, 2004), as well as the recently released Adobe Flash CS3 Professional Video Studio Techniques (Adobe Press, 2007). He has developed and taught Flash workshops for Lynda.com, Art Center College of Design, Portland State University, and Ed2Go, as well as conducted on-site training and seminars for clients in the United States and Canada such as LodgeNet, Wieden+Kennedy, and Scripps Networks. Robert has been a regular featured speaker at the Flashforward, FITC, Flashbelt, Flash on the Beach, and SIGGRAPH conferences. Robert and Snow were members of the Web Graphics committee for the SIGGRAPH 2004 conference. Robert is also a writing partner for CommunityMX.com. Snow Dowd — Snow initially collaborated with Robert Reinhardt on multimedia, film, and photography-based installation projects while earning a BFA in Image Arts and New Media at Ryerson University. During this time, she was also the production manager for Design Archive, one of Canada’s preeminent architectural photography studios. Working with renowned photographers and an exacting international client base of architects and designers helped her gain a deeper appreciation for images, architecture, and industrial design. Fully immersed in digital production since 1998, Snow is able to synthesize her background in visual arts and communication theory with an ever-evolving software toolkit. Focusing on content architecture and interface design, Snow strives to create print and Web projects that are beautiful, functional, and memorable. Snow was honored to be featured in the June 2005 spotlight on FlashGoddess.com — a great place to go if you’ve been wondering where all the women are in the Flash world. I decided to purchase the Flash CS4 tutorial after hearing about it from a friend. Upon purchasing it I was unable to see the tutorial. After an email to your support team, I quickly received my answer AND my tutorial. I found the video VERY helpful and have purchased 2 more tutorials for personal use just this past week. Thanks for a great product! Great intro. When I get stuck trying to do something or need to refreash on some part of flash, this is usually my first point of call. Very Good tutorial. Waiting for a tutorial about Action Scripts. 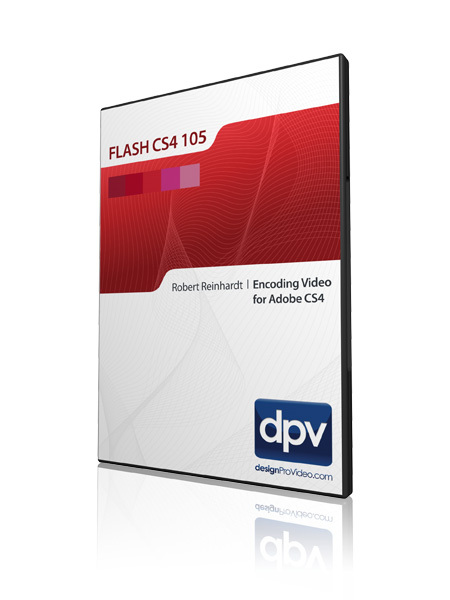 There is no way that Adobe should ship a single license of Flash or After Effects without your Flash CS4 105 lessons. I literally struggled all weekend (at least 20 hours) to get some crappy test footage into a usable format to upload and test in the Flash player and YouTube, and at best it looked mediocre and I still never got it right on YouTube. Your video answered every question I had after playing with Adobe's online help, Lynda.com lessons (which were but not nearly as precise as your videos were, you simply have to know what those encoding menu details mean (VBR, CBR, how to set them, etc.)) and even the Adobe Classroom in a Book (which is only good if you're going to play exclusively with their included files, really the Classroom in a Book Series is more for someone completely new to the Adobe CS4 software, very poor for reference. I simply marked your movie numbers in a list so that when I next have to encode my movie for Youtube I know to simply watch #108 again. I really believe I had gotten as far as I could without talking to someone who knew the rest of the way. Your video did exactly that and filled in every blank. Feel free to pass on my comments to your readers, and let them know that learning about video production and editing with the CS4 suite will almost have to happen from multiple sources, but they'll be lost if they don't get your movie. Thank you. I bought and studied this tutorial one Sunday afternoon when I was absolutely desperate for a solution to my excessively large video files. From Reinhardt's very through approach, it quickly became apparent that Adobe Media Encoder is not something you can just muck about with until you get it right. You need to understand the basics and Reinhardt does an excellent job of explaining them. For me the end result was being able to compress my videos to less than 10% of the size I'd achieved by unstructured trial and error. I have only one small criticism: the lack of some indication of the importance of each of the pre-processing tasks for a satisfactory end result. For example Reinhardt goes into some detail about how to reduce noise using Adobe After Effects (a hellishly expensive package) but he doesn't tell you whether this is a crucial step resulting in megabytes off your final file size or just a nice refinement which loses you a few kilobytes. However this is a very small criticism of an othwerwise spectacularly useful package. If you are new to video encoding you NEED to take this tutorial. It´s a general introduction to the program that as a new user with no experience I find complete and easy to follow. Maybe, macprovideo should launch a 102 version fully dedicated to cartoon animation creation but, as I said, this 101 is good and recomendable. Great and very easy interface. So cool. I'm a fan.